Some individuals may be troubled by signs of aging in the neck region. Loose skin may hang down and form vertical bands known as the “turkey-waddle”. Alternatively, adipose or fat tissue may accumulate under the chin and jaw producing the “double-chin” appearance.A Neck Lift is an appropriate procedure for people with sagging and loose neck skin. Dr. Wayne Lee will remove excess fat, tighten muscles and skin in order for you to attain a more youthful appearance. The neck lift address only excess skin and “bands” within the neck. This procedure is typically preformed in people over 40, although some may benefit from it at an earlier age. Laser Neck Lift Precision Tx™ in Tampa, FL also known as Sidelaze™ is being offered by Dr. Lee at WLMD Plastic Surgery to perform minimally-invasive, laser neck lifts! 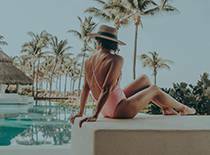 Precision, which is the latest technology in this area, (developed by Cynosure, makers of SmartLipo™ and Cellulaze™), uses a small, side-firing laser which is more efficient, direct, and precise in the heating of the tissues than previous laser technology. The procedure is performed in our private office-based operating room under light sedation, and there is minimal downtime! Contact us to schedule your complimentary consultation with Dr. Lee in Tampa, FL or Brandon, FL to see what Precision Tx™ can do for you! Precision Tx™ Laser Neck Lift is being performed by Dr. Lee in Brandon, FL, and Tampa, FL but is also offered to patients throughout the Tampa Bay area, such as: Fishhawk, Riverview, Valrico, and Lithia, Florida as well as South Tampa, Hyde Park, and more! Whether you are undergoing a necklift, facelift, or Precision Laser TX necklift, on the day of your surgery you will arrive to our private office-based surgery center and be greeted by our experienced surgical nurse. You will then be taken to your preoperative room and provided with a warm blanket. After consents are signed and vital signs are taken, our nurse will start your IV, if applicable. If you are undergoing MAC (monitored anesthesia care), our personal nurse anesthetist will interview you regarding your past health and surgeries to determine what type of anesthesia will be best for you. For most facelift and necklift surgeries, MAC and ultrasound-guided nerve blocks are used. Ultrasound-guided regional and general nerve blocks are used to help provide an opioid-free/reduced anesthesia technique so that our patients go home with minimal pain and postoperative nausea. MAC involved the administration of mild anesthesia to help you relax during the minor procedures. You will also see Dr. Lee on the morning of surgery prior to entering the operating room so you are able to discuss any extra expectations and ask any questions you may have. Our nurse will then give you oral medications to help relax you and provide pain management if you are not undergoing MAC. You will then be taken back to our private operating room and will be able to choose a music channel that helps to relax you and make you feel comfortable during the procedure. These surgeries generally take between 1-3 hours in length depending on which surgery Dr. Lee determines is most suitable for your personal goals and safety. After your surgery, your incisions will be dressed with water-proof and antimicrobial dressings, followed by compression garment. You may also have one drain that will likely be removed within the next day or so. Your nurse and nurse anesthetist will take you to your private recovery room after surgery and monitor you until you are comfortable to be discharged home. After surgery it is normal to feel some degree of discomfort, pressure, and fatigue. Medication for pain control and antibiotics will be provided for you. 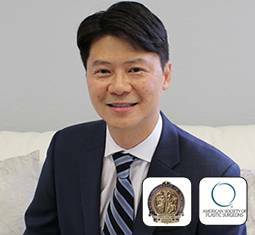 Dr. Lee conveniently schedules the majority of his surgeries on Thursdays and Fridays so you are able to rest over the weekend and miss a minimal amount of work. Dr. Lee and his staff will see you within the first few days after surgery to change your dressings and ensure you are well-healed.